The M21 Sniper Weapon System (SWS) is the semi-automatic sniper rifle adaptation of the M14 rifle. It is chambered for the 7.62×51mm NATO cartridge and 7.62×54mmR for Vietnamese and Chinese modified version, as well .30-06 for rare version. The United States Army wanted an accurate sniper rifle during the Vietnam War. The M14 was selected because of its accuracy, reliability, and the ability for a quick follow up shot. 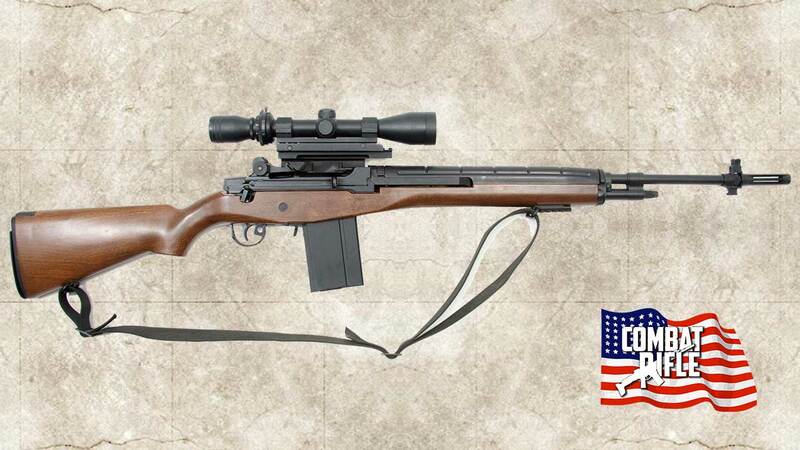 As a result, in 1969, the Rock Island Arsenal converted 1,435 National Match (target grade) M14s by adding a Redfield ART Adjustable Ranging Telescope 3–9× and providing National Match grade ammunition (7.62 Lake City Long Range XM-118). This version, called the XM21, had a specially selected walnut stock and was first fielded in the second half of 1969. An improved version with a fiberglass stock was designated the M21 in 1975. The M21 remained the Army’s primary sniper rifle until 1988, when it was replaced by the M24 Sniper Weapon System; some M21s were later re-issued and used in the Iraq War. In standard military use, the M21 uses a 20-round box magazine as the other members of the M14 family and weighs 11 pounds (5.27 kg) without the scope. The U.S. military never officially authorized or purchased magazines in any other capacity, although 5- and 10-round magazines are available. The XM21 Sniper Weapon System was used by the U.S. Army in the Vietnam War, and the M21 saw limited action in military conflicts and operations in the late 1960s until the late 1980s. It was used by the U.S. Army Rangers during the Invasion of Grenada in 1983. There are limited numbers in some Army National Guard units and in a few specialized active units such as the OPFOR units of the Joint Readiness Training Center. The XM21 served from 1969 to 1975, and the M21 officially served as the main Army sniper rifle from 1975 to 1988 until the introduction of the M24, which had supplanted the M21 in Ranger Battalions by 1990. However, many M14 and M21 variants came back into favor in the Iraq and Afghan wars in the 2000s. Springfield Armory, Inc. also manufactures variants of its M1A rifle called M21 Tactical Rifle and M25 White Feather Tactical/Carlos Hathcock rifle, which are based upon M21 and M25 Sniper Weapon Systems but are slightly different; most notably they are fitted with a Picatinny rail to mount a scope and a Krieger barrel. James River Armory, partnered with Bula Defense Systems to make the forged receiver M14 and M21 rifles in Semi Automatic Versions. LRB offers great craftsmanship of their M14 and is one of the most highly regarded M14 rifles on the market today. 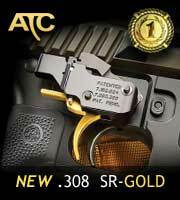 Fulton Armory sells top quality M14s at the top price. Note: most M14s will not have accuracy out of the box compared to the capabilities of mid-high quality bolt action systems, but parts can be upgraded and gas ports can be realigned in order to improve accuracy. All adjustments to the essential workings of the gun should be done by a professional gunsmith at any of the above mentioned companies. Sights: Front: National Match front blade .062, Rear: Match-grade hooded aperture with one-half minute adjustments for both windage and elevation.26¾ in sight radius.